Sikorsky has announced the donation of its ground-breaking X2 Technology Demonstrator to the Smithsonian's National Air and Space Museum at the Steven F. Udvar-Hazy Center. 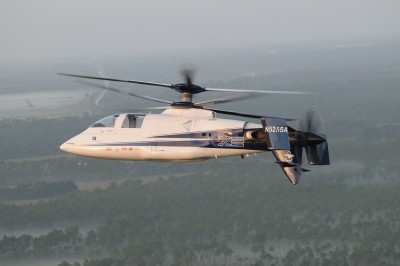 The X2 Technology Demonstrator is an experimental aircraft developed by Sikorsky to prove that a helicopter can double the speed of conventional rotorcraft designs without compromising essential, low-speed attributes that make helicopters valuable. The aircraft features a unique suite of technologies, most notably the rigid coaxial main rotors and pusher propeller, which enables high speed flight. The program began in 2005 and achieved first flight in 2008. 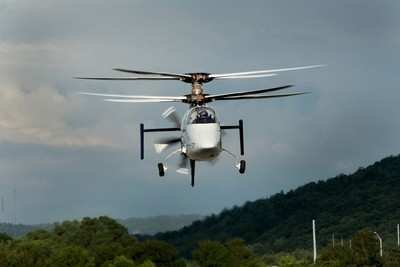 On September 15, 2010, the demonstrator unofficially broke the rotorcraft speed record by flying in excess of 250 knots, or about 290 mph. "Our X2 Technology Demonstrator is a great example of the pioneering, innovative spirit our team has to accomplish what some people may believe to be impossible. X2 was a success for many reasons. Not only did that helicopter accomplish all of the key objectives we established but it also reinvigorated and energized our helicopter community to continue to reach new levels of technology. We are honored to have our helicopter join the ranks of the aircraft at the Smithsonian," said Mark Miller, Vice President of Engineering & Technology at Sikorsky. The X2 Technology Demonstrator has been awarded many prestigious accolades over the relatively short development lifespan. Due to the aviation milestones it achieved, it was awarded the 100th Collier Trophy in 2010 "for the greatest achievement in aeronautics or astronautics in America, with respect to improving the performance, efficiency, and safety of air or space vehicles, the value of which has been thoroughly demonstrated by actual use during the preceding year," the second time Sikorsky has won the prestigious award. In addition to the Collier Trophy, the X2 Technology Demonstrator won the 2009 Popular Mechanics Breakthrough Innovator Award, a 2009 "Best of What's New" award from Popular Science, and was named "One of 2009's Best Inventions" by Time magazine. In January 2010, Aviation Week named it "One of the Top 10 Technologies to Watch," and was a finalist in the 2010 Aviation Week Laureate Awards category of Aeronautics and Propulsion.